Traveleyes is a company that offers holidays for visually impaired people. 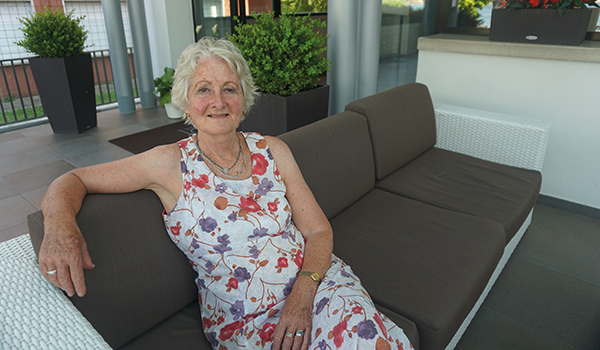 Rachael Martin went with them to join a group of sighted and visually impaired tourists on a trip to Verona and Lake Garda. 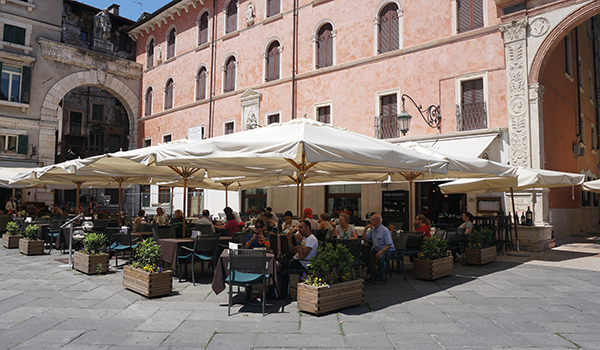 It’s a Sunday morning in Piazza Bra, in the heart of Verona. The square is full of people taking their morning stroll, having coffee and maybe a brioche at the cafés along one side of the square. Piazza Bra is the largest square in Verona. It is home to the city’s world-famous 1st-century Arena, once the site of gladiatorial combat and since 1913 the theatre for spectacular operatic performances. It’s seen artists such as Maria Callas, Luciano Pavarotti and Andrea Bocelli, and in May last year hosted an Adele concert. 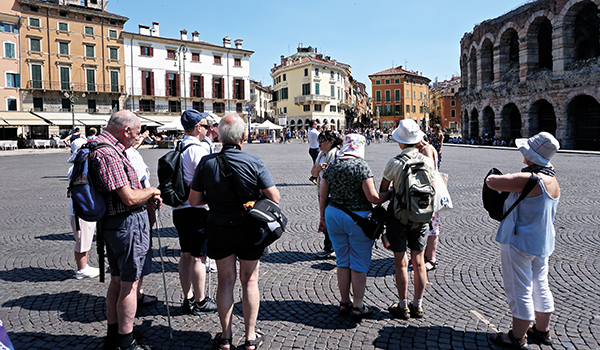 I’ve been to Verona several times before, so this is very much a revisit, and this time I’m with a group of people from Traveleyes, a holiday company that offers visually impaired travellers the opportunity to take their holidays independently. 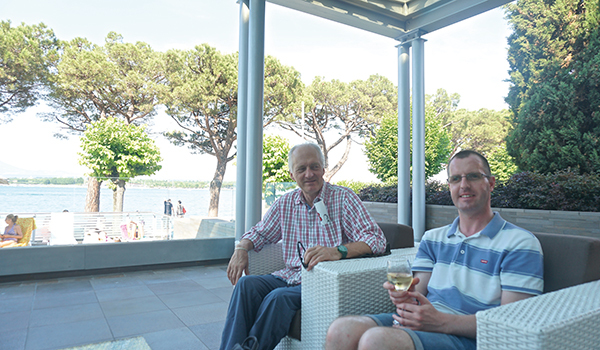 The holiday I’m joining is ‘Lake Garda – An Italian Romance’, which took place in June this year. 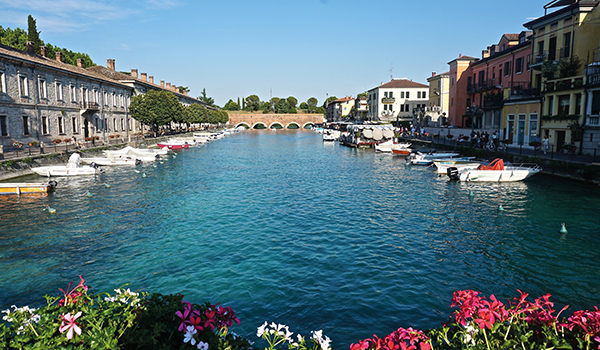 It’s a six-night holiday based in Peschiera del Garda, on the southern shore of Lake Garda, and includes two optional wine tasting trips. 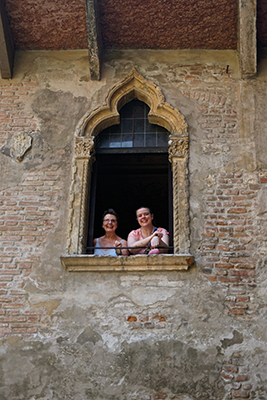 It takes in a tour of Verona, a trip to the estate of the famous Italian writer, poet and journalist Gabriele D’Annunzio, and various other opportunities to explore the lake. It’s just one of many holidays that Traveleyes offer. The company was founded by Amar Latif in 2004 as a result of his own experiences as a visually impaired traveller. Thirteen years later, and Traveleyes has a team of travel experts all specifically trained and all sharing the same love of travel. And so here we all are in Verona, on a walking tour of the city with Katia, our friendly and very knowledgeable guide. 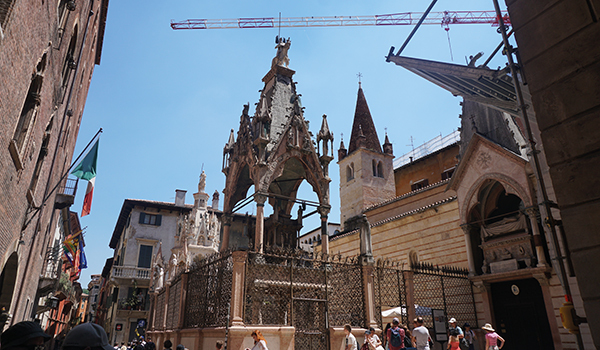 Verona is beautiful, as most Italian cities are, and despite the tourists it still has a feeling of being very liveable. Walking is a great way to get a taste a city’s highlights; later in the afternoon we all go back to the hotel in Peschiera del Garda. I asked tour manager Diana Shackleton about her experiences of Traveleyes holidays. Diana found out about the holidays when her daughter sent her a link for a holiday to Rome. She went, and enjoyed it. She’d already been a tour guide in France, and so welcomed this new opportunity. She tells me how a visually impaired traveller and a sighted traveller are paired up every day. “I think the concept of changing partners every day is brilliant. There’s usually a ratio of more sighted guides on the holidays so there are always some ‘extra’ guides who aren’t obliged to come on the trips but usually do.” Her other experience as a tour manager was in Tuscany. Steve and Debbie, a couple from Bristol, both have impaired vision. It’s their third Traveleyes holiday. They went to Finland, and to New York a few months ago. Debbie enjoys the social aspect of the holidays. They’ve met lots of people and made lifelong friends. “Yes, we had a good night,” Brett, a software engineer from Reading, confirms. “In fact, every night’s a good night!” Brett’s been on about seventeen holidays. His first one was to Cape Town. Brett hasn’t let his visual impairment stop him. He’s been to Greece, Iceland, Malta, Croatia, Slovenia, Egypt, Tunisia, Turkey and other places. He’s going to Cambodia in October. 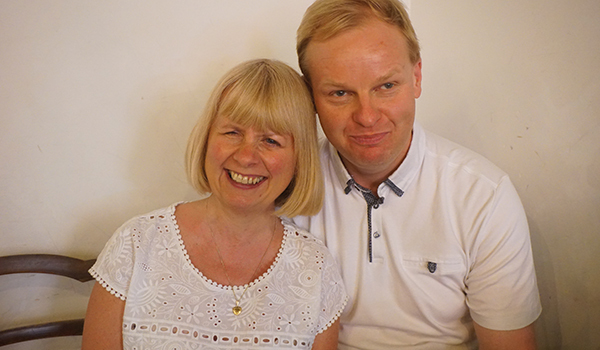 Brett and Sue have struck up a great friendship and are planning to go on one of the holidays together again. 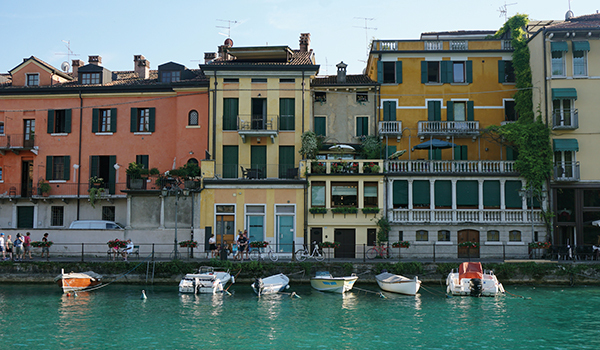 Revisiting Verona and Lake Garda made me reflect on my own experiences of the places in the country in which I live, and also what Italy means to me personally. 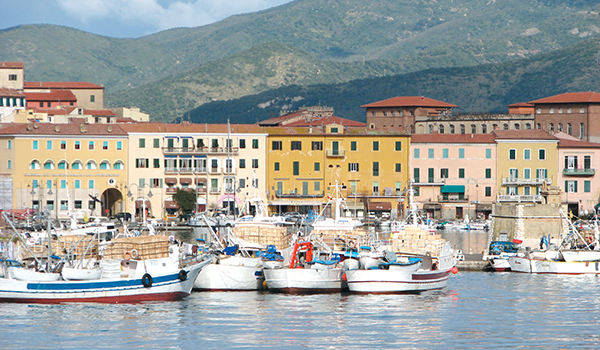 It isn’t just ochre-coloured buildings in pretty squares, although they are very beautiful. It’s hearing the sounds, and for me personally that’s the language its people are speaking. It’s what I remember most about being here at the beginning, this beautiful language that I didn’t yet understand. Today, it was touching the walls of the Arena in Verona and feeling the history. It’s feeling the history everywhere as you’re walking round. And it’s the smells as we walked past the trattoria under the portico of Via Sottoriva, just as it was at a fish market in Gallipoli where the housewives were buying lunch for the day many years ago. It was mid-afternoon. A few of us were hungry, and tired, particularly from the early summer heat. We found a bar up a side street, away from the square, and had lunch together and chatted. It seemed so very apt for a country that’s so very linked to its food, a country that truly loves its food and is so very proud of it. “Italian food is the best in the world!” the Italians will happily proclaim, and that genuinely does spring from an appreciation of and pride in their own cuisine. It’s easy to overuse the word ‘typical’ while trying to describe the architecture: the wrought-iron, the cafés with their huge canopies shading people having aperitivi from the sun, and the colours I love so much. Not that it seems to matter. We’d reached the heart of Italian culture, sitting around a table and enjoying good food together. Language, food, history. It’s quite a nostalgic way to love a country, but it’s extremely seductive. 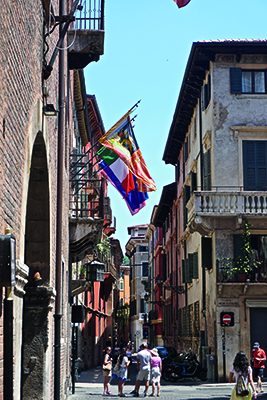 Whether it’s Verona and Lake Garda, skiing in Bormio, walking along the Ionian Coast or exploring the Bay of Naples with Ischia as your base, Traveleyes are certainly making Italy, and indeed the whole world, accessible in the most enjoyable of ways.